Few first-time Japan visitors make it down to the island of Kyushu, but with a subtropical climate, natural hot spring and beaches to boot, it’s well worth a visit. Travel consultant Laura explores the picturesque seaside city of Kagoshima. 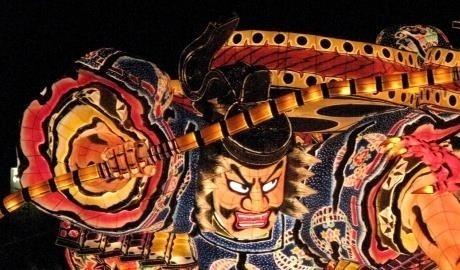 Kagoshima has always been home to plucky samurai, savvy local lords and tenacious rebels. Once known as the satsuma domain (yes, like the oranges – they come from Kagoshima! ), it spent centuries nursing a grudge against the central government in Edo (Tokyo), before exploding onto the international scene in the latter half of the 19th century. Not dissimilar to an unruly teenager acting out against a disgruntled parent. Kagoshima has been responsible for the birth of the industrial revolution, the introduction of guns to Japan, the brief Anglo-Satsuma War and confusing patrons of the 1867 World’s Fair into thinking that it was an entirely separate country from Japan. It boasts one of the most active volcanoes in the world (Sakurajima), the smallest oranges, the biggest radishes, and a completely incomprehensible local dialect (even to native Japanese speakers). But the figure held in the highest regard is a man regarded as the ‘last true samurai’, who died fighting 60-1 odds against imperial troops; this was the inspiration for The Last Samurai, a Hollywood movie featuring Tom Cruise and Ken Watanabe. Being the southernmost bullet train station, Kagoshima is easily accessible with a Japan Rail Pass and can be worked into a Kyushu train adventure. Whilst my top recommendation is to explore with a hire car, it’s certainly possible to have a fantastic time in the city and its surroundings using the ferry, buses and local rail services along the bay. Read on for a pedestrian’s perspective of how to spend 48 hours in this southern gem! The easiest way to get around the city centre is by tram, on foot and by sightseeing bus. The bus operates in a loop and covers all the popular sightseeing spots. A day pass is available from the driver or the information point in Chuo Train Station which allows you to hop on and off the buses and trams as you please. For the best view of Sakurajima volcano, visit Shiroyama Look Out Spot. Dolphin Port also offers great volcano views and souvenir shopping, and Sengan-en makes for a pleasant walk around gardens, ruins and – you guessed it – excellent views of Sakurajima. Be sure to pack your camera! History buffs may like to spend a little time at the Nanshu cemetery, which has plenty of signposts giving background knowledge on the rebellion led by Saigo Takamori. Sengan-en is also a definite go to for Kagoshima history. Around 4.5 thousand people still live on the island, mostly with farming occupations. The soil is especially rich and fertile, and used to cultivate the smallest satsuma oranges in the world and the biggest radishes (10kg in weight!). Whilst the radish is a bit big to lug back to your hotel, you may like to pick up a bag of oranges to take with you. They make a great snack on the ferry. Non-cyclists can still enjoy the volcano, although the stroll might be a little dull in places and the walk to the look out point is quite long. The area by the port is very pleasant in the evening, however, and you can rest your feet in the ashi-yu (foot baths) whilst looking out across the bay at the city. It’s one of my favourite times to go as the crowds are few, and you’ll also encounter Sakurajima’s cutest residents: the many stray cats that live by the port! If you’re meat eater and fancy a filling lunch, you can’t go wrong with Kagoshima kurobuta (black pork cutlet). Deep-fried and usually served with sauce, rice and maybe veggies (if you’re lucky!) it’s a little heavy, but very succulent. Kuro means ‘black’ – the colour of the pigs. You’ll come across other kuro- foods and condiments in Kagoshima, which is unique to the area. Another local favourite is shirokuma, translated as polar bear. This tasty dessert is made from shaved ice and condensed milk, giving it a rich, creamy texture. It’s typically decorated with frozen fruits to look like a bear, although some are more aesthetically pleasing than others! 4. Drink like a Satsuma Lord! Kagoshima is known for shochu, a strong 25% spirit usually taken mizuwari style (with cold or hot water added depending on the season). The local speciality is distilled from sweet potatoes, but on the southern islands it is also made from black sugar cane. Typically, it tastes a little sweet and, as I’ve been told by grinning locals, won’t give you a hangover… whether myth or fact, you’ll have to find out for yourself. Any standing bar will stock plenty of local brews for a handful of coins to the glass, or if you’re feeling a little flush you could try the Yatai Mura stalls a short walk from Chuo Station. Created for tourists, it’s an excellent place to try various southern dishes and beverages – just be wary of the price! 1. Take a day trip! Kagoshima prefecture is wide and full of interesting day trip options! Unfortunately as a feeble pedestrian your choices will be narrower than the drivers in Japan, but don’t fret – you can still don your explorer’s hat and hit the road. Nearby Ibusuki is accessible by bus and train. Railway lovers with a Japan Rail Pass may like to travel all the way down to the southernmost station – but be warned, train timetables are pretty scarce! The journey down to Ibusuki is a little rickety but very scenic, with bay views most of the journey south. As a city Ibusuki won’t blow you away, but there are some good coastal walks you can do (some of which are seasonal) and you can try a ‘suna-mushi onsen’ where you’re buried in volcanic sand. Regardless of what Beppu and Oita say, Ibusuki is the best in Kyushu for suna-mushi. 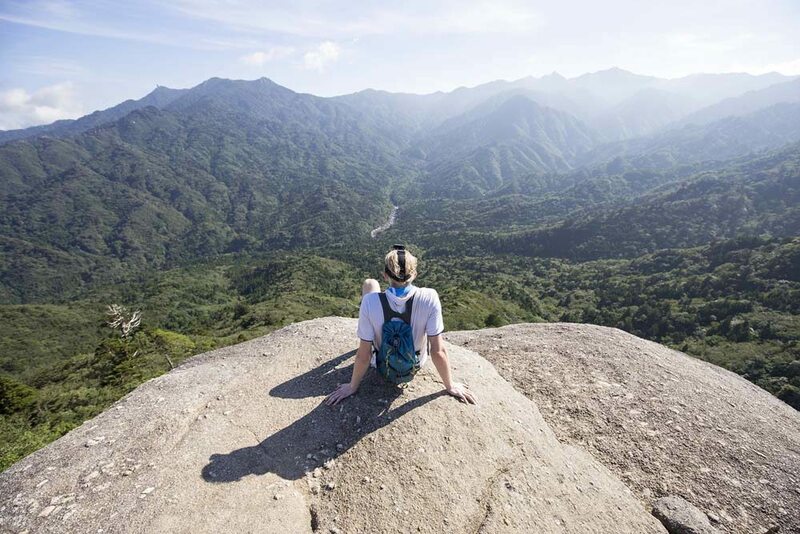 If you’re up for mountain climbing (and it’s the right season), Kaimondake in Ibusuki will give you a challenge. It’s a dormant conical volcano dubbed the ‘Fuji of the South’ by the locals. History buffs should check out Chiran, which is accessible in tandem with Ibusuki or just on its own. Chiran was the southernmost base for kamikaze fighters in WW2. The peace museum there gives full English explanations of the history, as well as an insight into who the fighters were with letters, wills and photographs. It’s the only one like it in the world, and offers a solemn yet neutral perspective of this aspect of the war. Chiran also produces an incredible amount of green tea. The journey to the town goes through little farming villages and field after field of green. What I don’t recommend is Kirishima Shrine. Although very beautiful, the journey by train and bus is not straightforward, and you’ll find it difficult to visit anywhere else in Kirishima without a car. Consider a stay in Fukuoka instead, and visit Dazaifu! 2. Don’t fancy a day trip? Perhaps the weather is poor or the above destinations don’t appeal. No matter! Take your time with your sightseeing and spread out your exploration over two days. Before you leave, pay a visit to Shiroyama Hotel and visit the hot spring baths. Although a little more costly than your average hot spring, they make up for it with volcano views and outdoor baths. You can take the bus or hop on the free hotel shuttle bus for easy access. My recommendation is to go in the evening at sunset– although be warned that as this is a popular time to go and the baths are communal, they might be a little busy! Fancy discovering the hidden highlights of Kyushu? Take a look at our Kyushu Elements Small Group Tour, or get in touch with our Japan travel experts to find out more.